I read recently that flossing isn’t really that important after all. I’m so mad at my dentist, because I’ll never get back those five minutes of my life I spent lying to him about doing it. Says Gingras: I actually do floss every day, but I hate it and am bad at it. I have a conversation about flossing every time I go to the dentist, to my dismay. So I would say I've been working on this joke my whole life. Joe Gingras is the former co-host of Half & Half Comedy at Half Lounge. He has performed with Emo Philips, Louis Ramey, DeAnne Smith and Kenny Zimlinghaus. 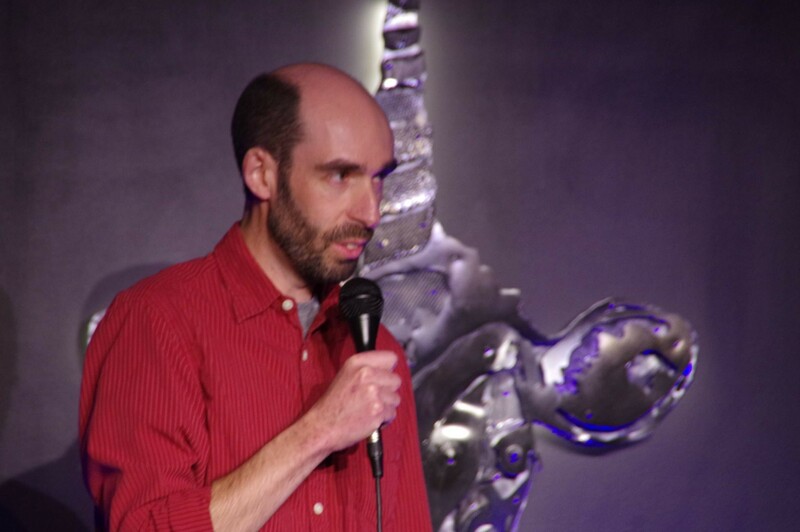 Gingras was a finalist in the 2015 Vermont's Funniest Comedian Contest. He performs throughout New England and in NYC. Gingras doesn't have any immediately scheduled shows, but performs often around Burlington.